The 10-story Gates Vascular Institute/Clinical and Translational Research Center opened Thursday in Buffalo. A federal loan, state tax dollars and philanthropists all chipped in on the $300 million price tag, making it among the most expensive facilities of its kind in the world. Researchers will try to find new treatments for vascular disease. The hope is to launch a handful of new companies that will call the in-house business incubator home. Western New Yorkers suffer vascular ailments at disproportionately high rates, says L. Nelson Hopkins, chair of the Gates Vascular Institute Physician Board. Hopkins joked that Buffalonians could help doctors lower rates of vascular disease by eating fewer chicken wings, which were created only a block away from the new building. 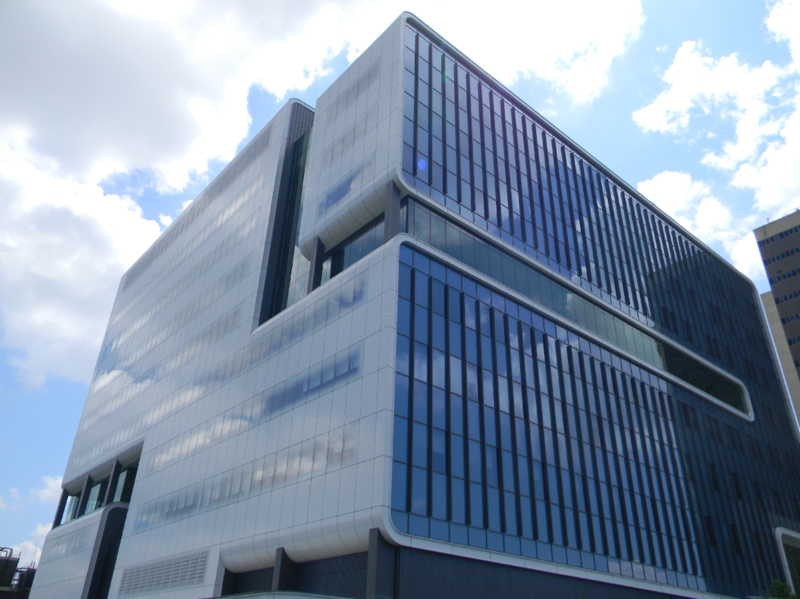 Located on the Buffalo Niagara Medical Campus, the building will also help recruit top-level researchers and doctors to the area, says Timothy Murphy, director of the Clinical and Translational Research Center. Economic development officials say the new structure will also increase residential demand and attract retail businesses downtown. An anonymous philanthropist has given the University at Buffalo its largest donation ever: $40 million to the UB medical school. 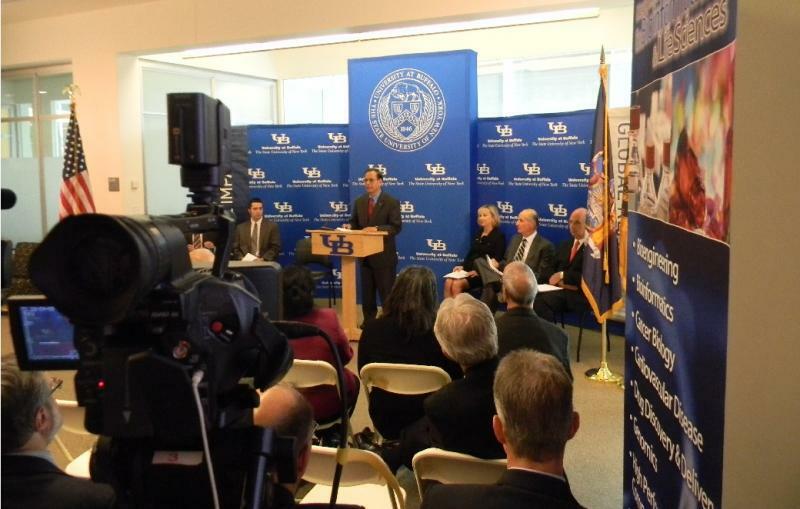 UB has already drawn up plans to have the money trickle down through the medical school, improving each of its 26 departments along the way. A new $80 million addition to the Buffalo Niagara Medical Campus (BNMC) will further consolidate the region’s health-related services. 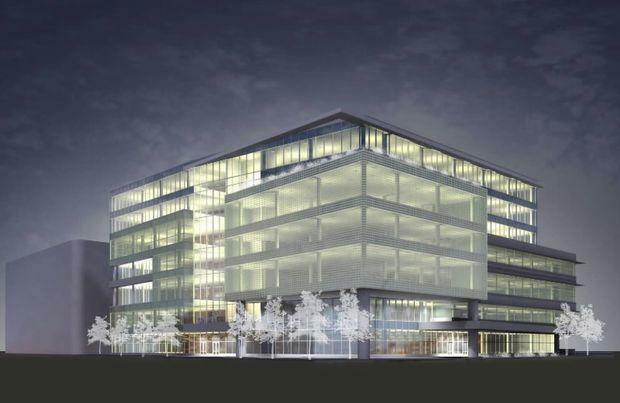 The announcement of the mixed-use 350,000 square foot structure is and end-of-the-decade cherry-on-top for the rapidly expanding BNMC, a mix of public and private enterprises focusing on medical procedures, research and manufacturing. The building will serve a number of needs, housing a diagnostic imaging center, office space for private physicians’ practices, and first floor retail space.